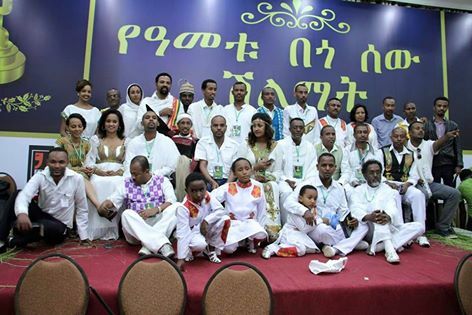 በጎ ሠሪዎችን በማክበርና በመሸለም ሌሎች በጎ ሠሪዎችን እናፍራ!! Hi dani why don't u write about maiber kidusan exbision it has been open 3 day's ago. I was expecting u with yr family in the 5 th Exihibition that u were fighting to make it happen. To start with I would like to thank you for your service both for your country and the Church. Regarding ‹‹የበጎ ሰው ሽልማት››, I have always asked myself why the categories listed above doesn't include Politicians instead of መንግሥታዊ የሥራ ኃላፊነትን በብቃት መወጣ , because this way it includes both people having a an administrative role as well as those politicians trying so hard and scarifying their life for the greater good,for their people. Let me ask you a simple questions. 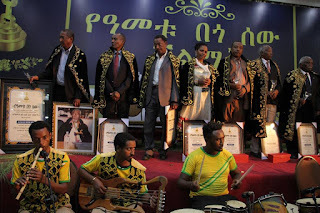 If I am about to present a nominee and came up with a name Dr. Merera Gudina, in which category should I present him? you might say መምህርነት but the Doctor's influence through politics is much greater than than he being an educator,although I am sure he would still be a great candidate for that category too! Hi Teddy , I love your idea but you have to see our country democracy. This program just start, it has only a few years so if Daniel pick some people form government opposition party, the current government immediately stop the program. If you remember last year, because of government Daniel change the meeting place at last time. 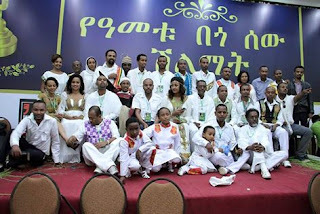 In addition that after Daniel starts this program the Ethiopian government start the same program with different name. I gave you the above example how it is difficult to practice democracy in Ethiopia. They want to control everything with government. We have to pray for them because they don’t know they will die tomorrow. Hi "Anonymous", lol .... I understand your concerns and fear but, this is a matter of public recognition and people who deserve to be recognized shouldn't be excluded in fear of making the so called government angry! it is about the credibility of the Campaign. After all, Ethiopia is the one nominating and giving the recognition. I say it is time to challenge any obstacle if any!Another simple question is , will the government go bad if Dr. Merera Gudina is nominated for the ‹‹መምህርነት›› Category? if so, what is the point to all of this since it will technically be the government picking and giving ‹‹ሽልማት›› ! Well, sooner or later, we will see what is gonna happen! Why don't you write instead of telling him to write your interest. He is doing a great job, because of him MK got permission to reopen. Everybody know the exhibition has been open so what is the different if he write or not. Shame on you. I am sorry u got it all wrong i did't ask my interest I was rifering for those Who are abrode including me, he may tell us ditel information, as he always that is it.